Welcome to Nix Screw Machine Products! At Nix Screw Machine Products, our goal is to reduce your costs by developing superior quality parts. 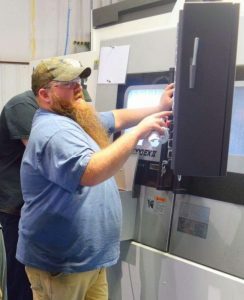 We build precision machined inserts, connectors, fittings, fasteners, spacers, and other specialty turned parts from brass, bronze, aluminum, stainless steel, mild steel, plastics and other materials. The quality of your parts, and the make it happen attitudes are outstanding. Nix Screw Machine should be very proud. The positive, friendly, and upbeat personalities of all is very refreshing. The flexibility and willingness to make things happen on short notice is greatly appreciated. It is a pleasure working with everyone at Nix Screw Machine.